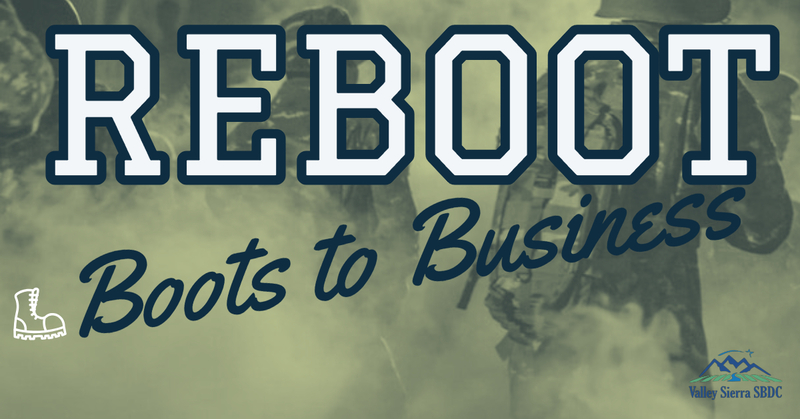 Boots to Business Reboot is an entrepreneurial training program offered by the U.S. Small Business Administration. The course is open to Veterans of all eras, Servicemembers (including members of the National Guard and Reserves) and their spouses. The curriculum provides assistance to those interested in exploring business ownership or other self-employment opportunities by leading them through the key steps for evaluating business concepts and providing foundational knowledge required to develop a business plan. In addition, participants are introduced to SBA resources available to access start-up capital, technical assistance and contracting opportunities.